I’m aware that many people struggle with gaining weight over the holidays. After a week of holiday festivities, I like to take 3 days to take a break from holiday indulgences and eat a low calorie, low carb, low sugar and minimal alcohol diet to reset my eating habits. This type of reset is SUPER EASY to stick to because it’s only 3 days. You can do anything for 3 days, right? This year, I put together this 3-Day Holiday Reset to share my own personal reset plan with you all. The e-book contains all of the tips, tricks and recipes that I use to keep my figure slim and trim throughout the holidays. I created this reset to be your mini food bible that you can turn to any time you are feeling overwhelmed by the indulgences of the season. The recipes in this 3-Day Reset are so filling and delicious, you’ll barely notice that you’re doing a reset. After the three days, you’ll feel more energized, less bloated and will have set the foundation of healthy eating for the days and weeks to come. 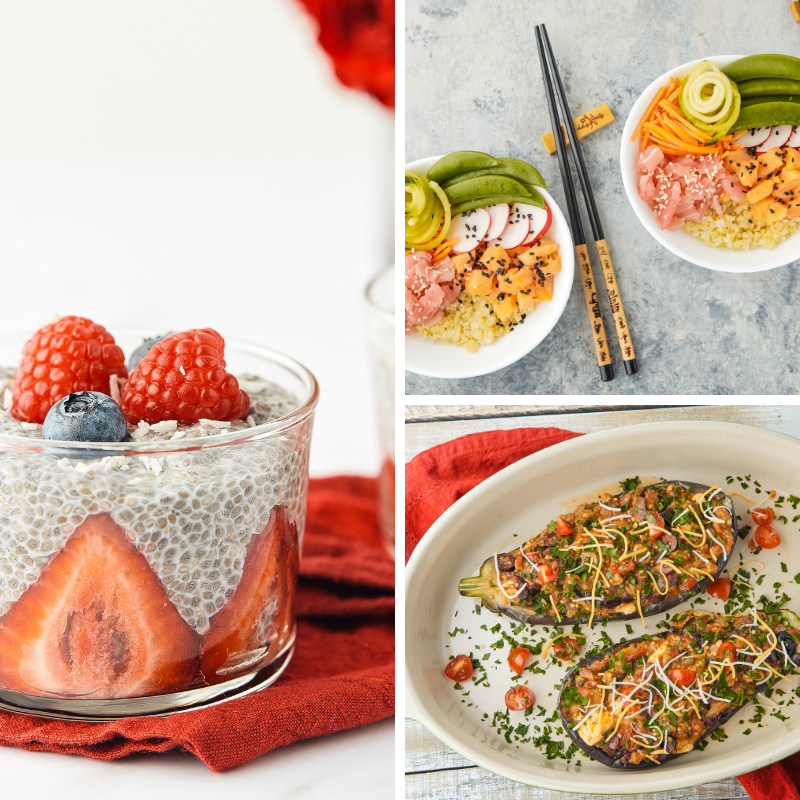 The e-book includes recipes for Chia Pudding, Tuna Poke Bowl, Stuffed Eggplant (all pictured below) and so much more! Get started with your reset today!